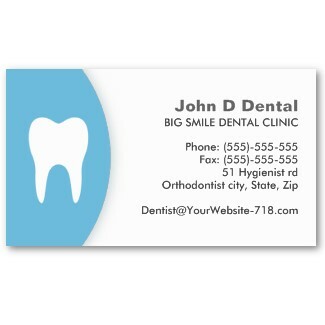 Modern and elegant dentist business card featuring a white tooth on a blue half circle. Simple yet stylish design great for dentists, orthodontists, dental hygienists and assistants and anyone working with teeth. Available in different colors. Custom colors are available on request. Click on the image for details. This entry was posted in BUSINESS CARDS, Dental business cards and tagged Dentist business cards. Bookmark the permalink.